The enemy is fear. We think it is hate, but it is fear. 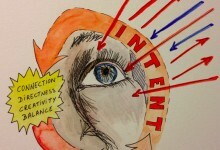 This one is about waking up to my intent so I will start to see more of it in the world around me.